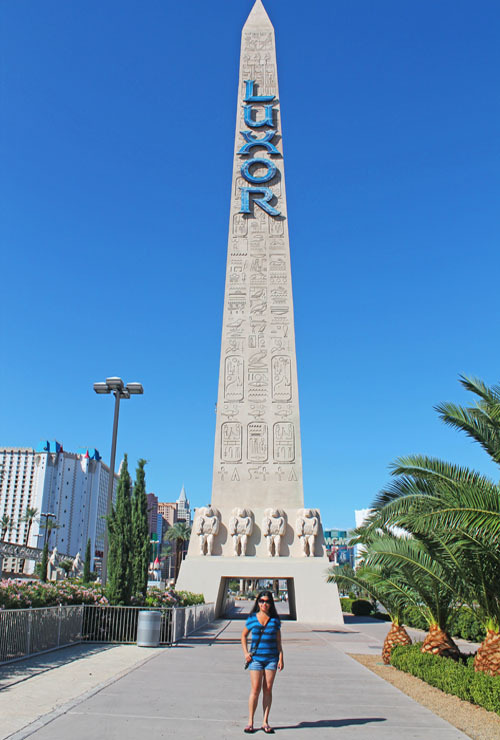 Luxor is one of the most known hotels in Las Vegas because of Egyptian theme, interior walls of a pyramid style tower and twin ziggurat towers. It has two hotel buildings, the Pyramid and the Tower: the Tower is newer but i think the Pyramid is pretty cool because your window in the room is at an angle. 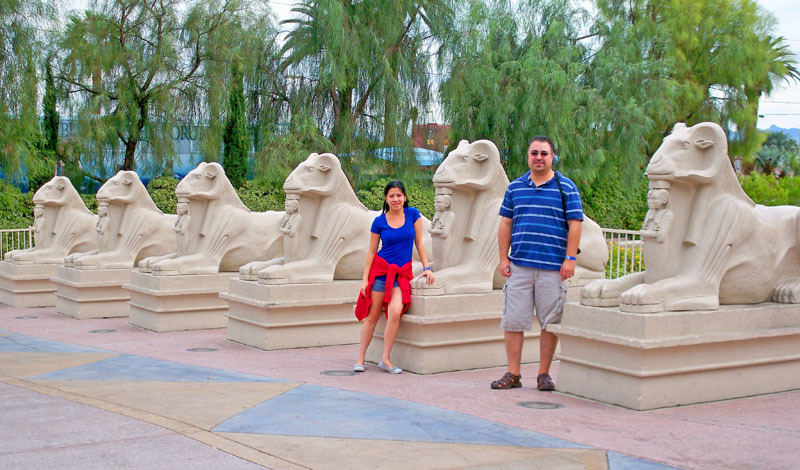 We stayed at Luxor for five nights in mid October and were really happy with everything. Luxor hotel is located further end of the strip, but right down the street from the airport. Its always fun to walk into this hotel. Just seeing the pyramid structure is really cool. 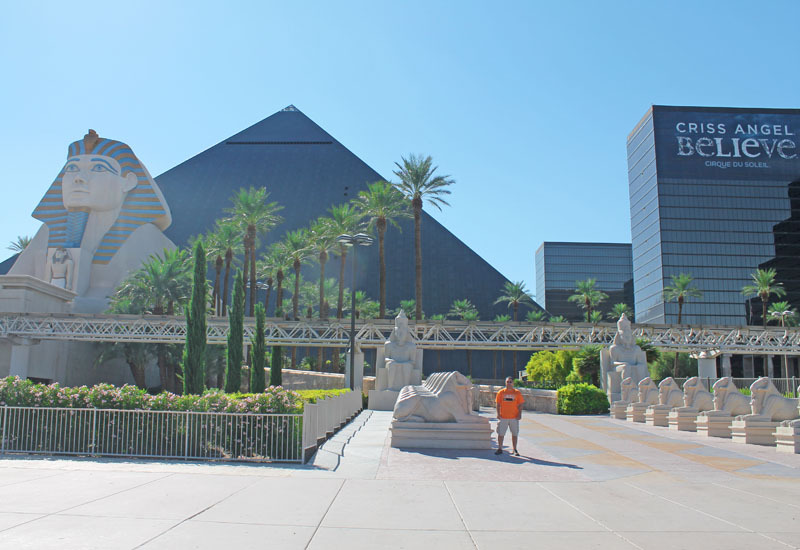 Since Luxor is at the end of the strip, it's nice that there's a tram that connects from Luxor-Mandalay- Excalibur, from there you can walk to New York New York or cross the strip to hop on the bus. 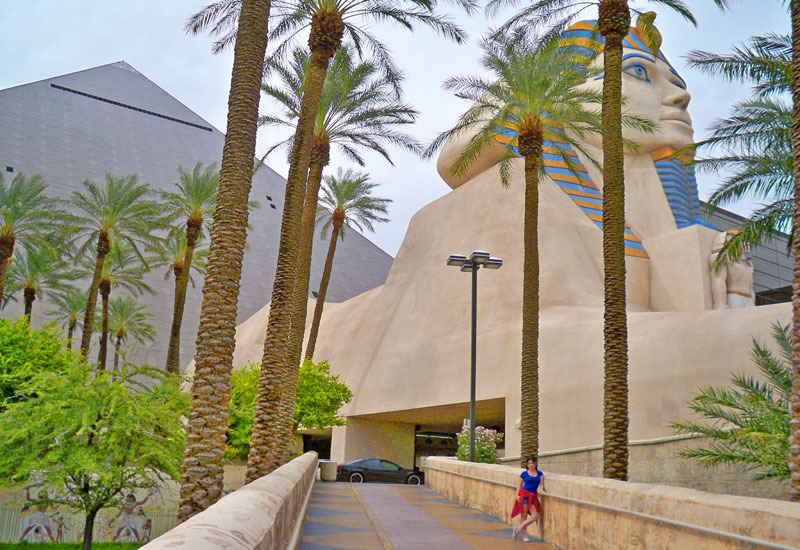 Luxor Pyramid and Sphinx: (Trivia) The ominous black pyramid of the Luxor Casino-Hotel is the largest in America: 36 stories tall. 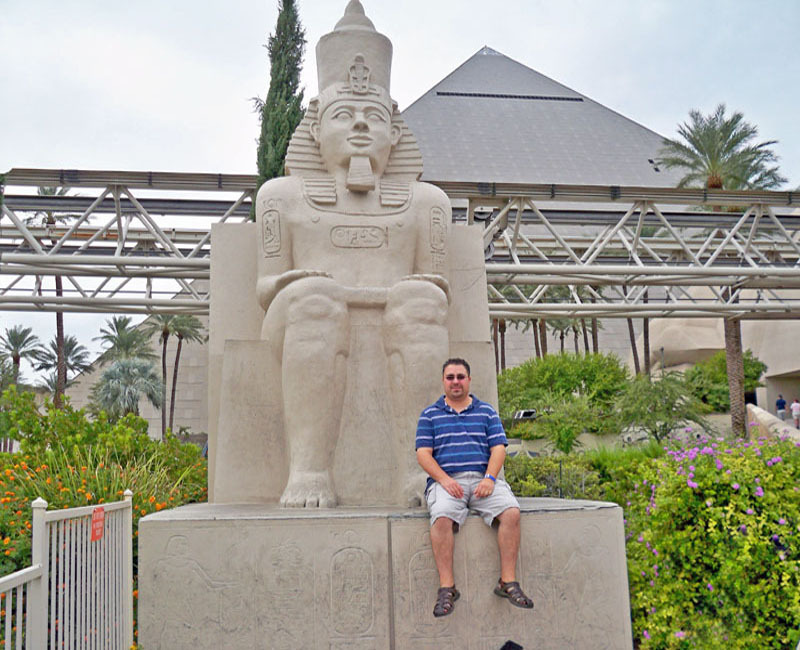 The only reason it wasn't built taller than the Great Pyramid of Giza is that it stands opposite the Las Vegas International Airport. The Sphinx is 110 feet tall, a full two stories taller than the original. 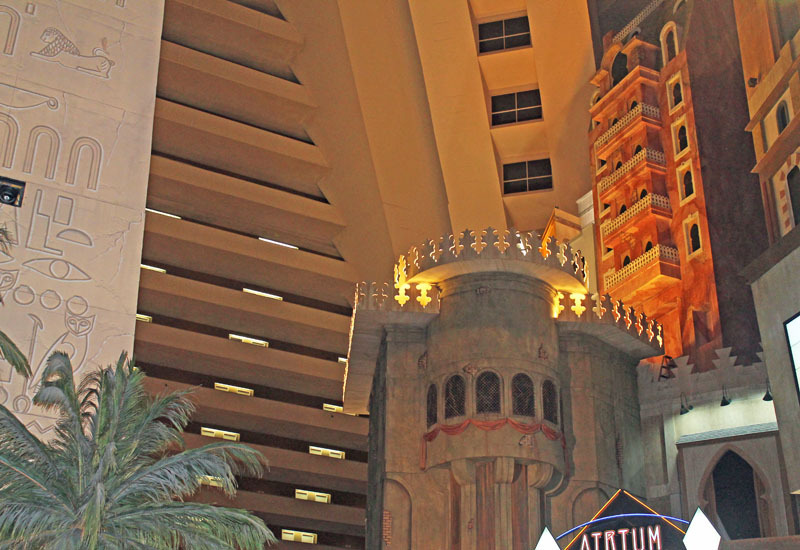 The Luxor has received recognition as being among the most recognizable hotels on the strip because of its unique design. This hotel is a perfect example of you get what you pay for. We wanted a decent hotel room in the strip that is inexpensive with respective room amenities. The pyramid room we stayed at has a slanted wall with a window, it has a decent size of room. Their amenities are your basic shampoo, body wash, lotion, and soap (one of my favorite scents by the way). My husband and I are positive travelers. Our room were clean and comfortable it had everything we needed for well, a mini fridge may have been nice too. 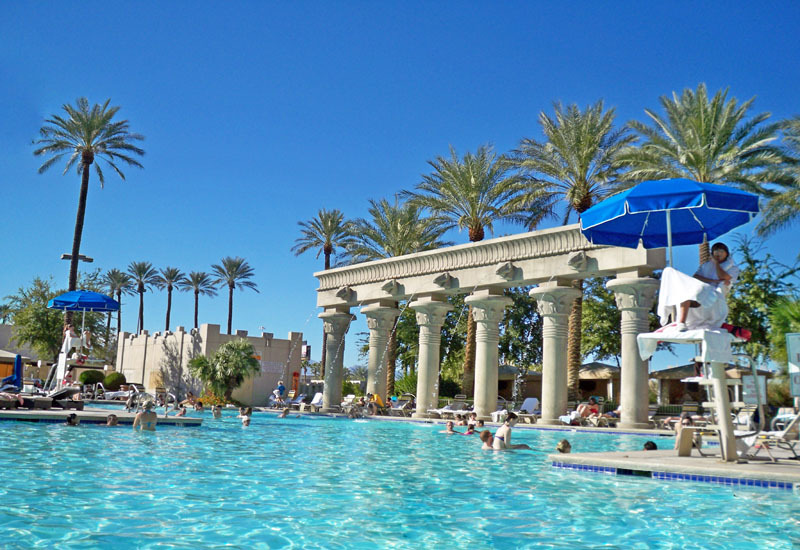 The pool area can be crowded on summer and they close it during winter. 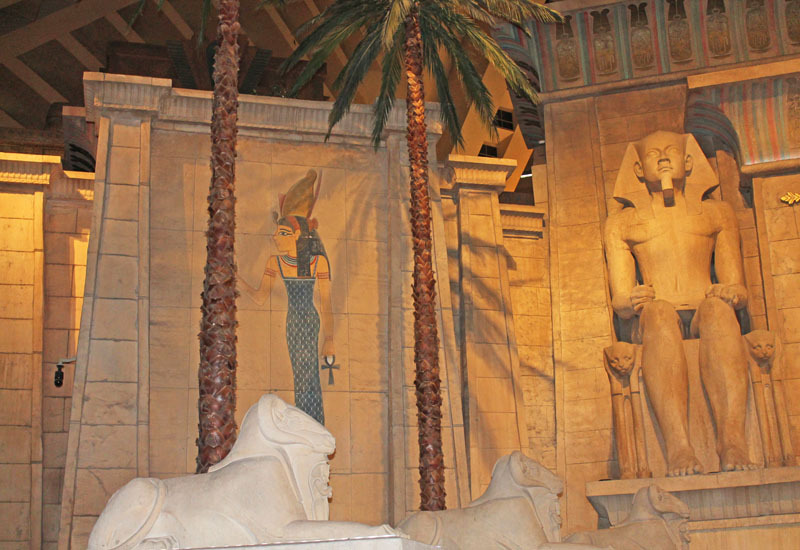 Luxor has quite a few restaurant with different cuisine. I was pleased with the food on site, but I preferred to visit other hotels for the all day buffet. Overall, we really enjoyed our stay ⭐⭐⭐⭐ 4.0 stars - Thank you for a fantastic stay, Luxor Hotel and Casino ! 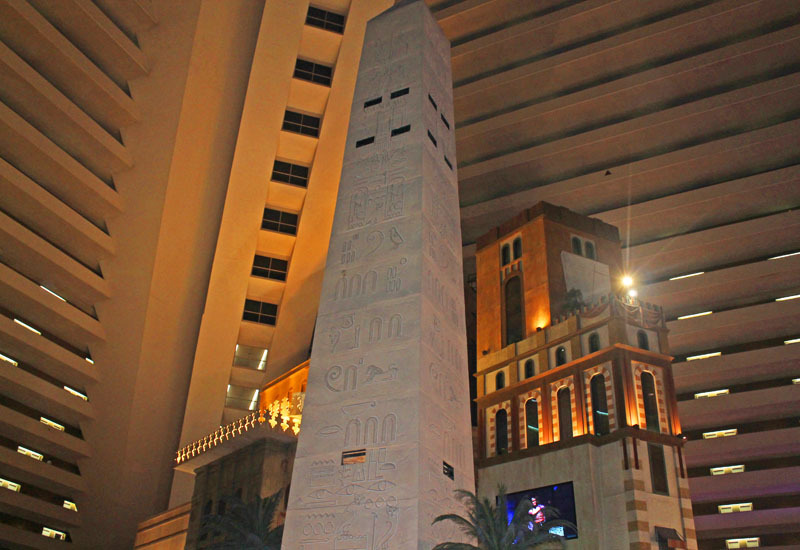 Ang ganda nung Luxor Hotel. Feel na feel mo talagang nasa ancient Egyptian times ka. Galing! Beautiful photos. 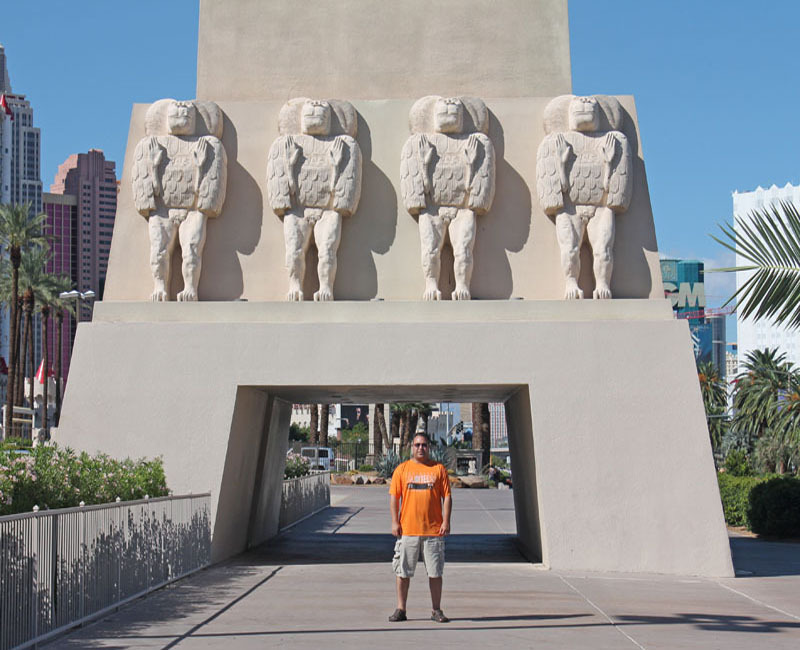 I have been in Las Vegas and visited the Luxor but unfortunately did not stay there. It looks totally awesome. 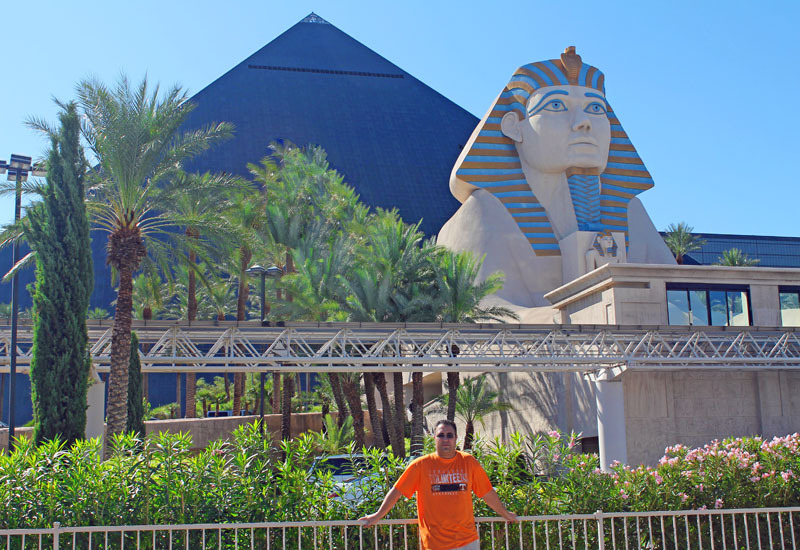 We are wintering in Las Vegas and have gone to the Luxor several times. We've also been to the "real" Luxor in Egypt. I'm your latest follower as fellow travelers!! Luxor! Luxurious for sure. Ang ganda super. Nakakainggit leah.at nakakalula sa taas ng hotel. Diba scarry pagmasdan yung mga obelisk? Wow! the place is beautiful, Leah.. I never been in Las Vegas, hopefully we can visit one day. Goodluck sa road trip nyo sis for this summer. Wow so beautiful, I would really like to visit Las Vegas someday and get to experience all of this. This looks like such a cool hotel! I'd love to stay here. One day I hope to make it to Las Vegas. A friend of mine just got back from vegas (she got married). She should have stayed at this hotel for sure! I wish I would have known about this sooner! It's a cool hotel. Even today, a few years after this original post. Thanks for bringing it back around for us. WOW. WHat a great place to visit Leah. I bet you had a incredible time. I have a friend who is planing her birthday in AUgust in Vegas, gonna share this with her. 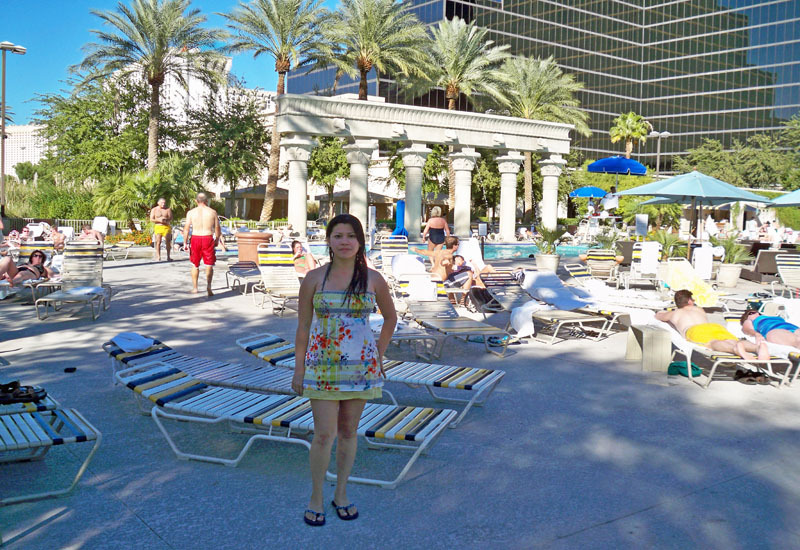 I had been to Las Vegas once and I stayed at the Mirage. 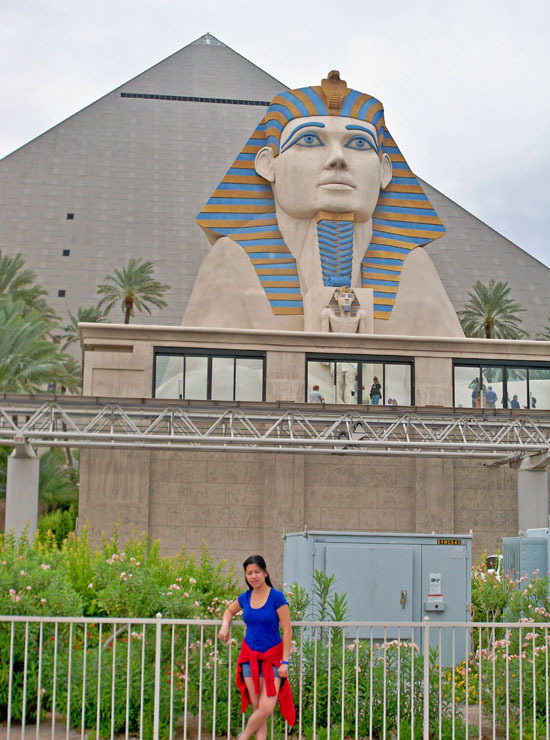 My son will definitely love to stay at the Luxor if we go next time as he loves everything Egyptian. I have never been to Las Vegas but so many person I know go on holiday there! I feel like i really need to visit the city! I always love when we get down to that end of the strip and see the sphinx. It's definitely a sight to behold! Seems like a nice hotel. I'd love to stay there. I want to go to Vegas soon. Thanks for sharing. I just came home for a long weekend vacation, and now I want to travel again after reading your story. OMG I guess am vacation addict. I want to visit Luxor! I hear you isn't it so nice when your on vacation. Just pure relaxation and slowing down to de-tress our busy life. We actually haven’t been to Vegas yet, I think I’ll start looking into plans for a trip! What a beautiful place! I would seriously love to visit!